Posted on: October 17th, 2013	by Jennifer A.
Jersey Family Fun helps you explore things to do with kids in Hudson County, New Jersey. 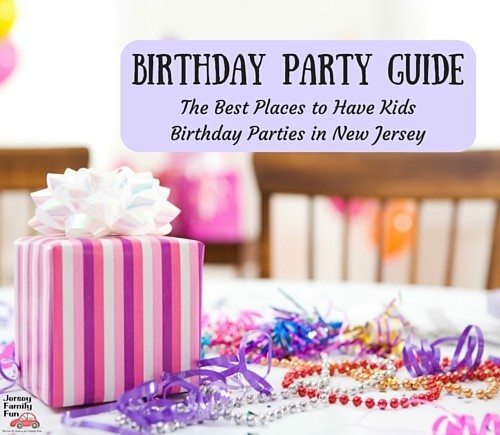 Do you know things to do with kids in Hudson County that we should add to this list? Are you interested in advertising options for this page? Please email the name of the location, the type of location, and the city and county it’s located in to jenniferauer@jerseyfamilyfun.com. Bowl Rite Lane – 714 Summit Ave, Union City. (201) 864-2667. Hudson Lanes – 1 Garfield Ave, Jersey City. (201) 432-5900. Charlie Heger Ice Skating Rink – 807 Summit Ave, Jersey City. (201) 547-4392. Newport Skates – 95 River Dr S, Jersey City. (201) 626-7465. Pershing Field Ice Rink – 807 Summit Ave, Jersey City. Richard L. Korpi Ice Rink -W 28th St, Bayonne. (201) 858-6000. Secaucus Ice Rink – 150 Plaza Center, Secaucus. (201) 330-0273. The Gravity Vault – Hoboken. COMING SOON! Pershing Field Pool – 201 Central Ave, Jersey City. (201) 547-5003. Pole Position Raceway – 99 Caven Point Rd, Jersey City. (201) 333-7223. Pump It Up – 301 Penhorn Ave #5, Secaucus. (201) 865-5867. Hudson Play – 189 Brunswick St, Jersey City. (201) 963 4671. Hudson’s House of Play – 40 Riverwalk Pl #3a, West New York. (201) 751-4300. McDonald’s PlayPlace – 325 Grove St, Jersey City. (201) 333-7888. McDonald’s PlayPlace – 3215 John F. Kennedy Blvd, Union City. (201) 866-6777. McDonald’s PlayPlace – 5400 Bergenline Ave, West New York. (201) 866-2288. Play City – 4918 Park Ave, Weehawken. (201) 348-4000. Romparoo – 537 Park Ave A, Hoboken. (201) 653-3232. Three Little Birds – 16 Erie St, Jersey City. (201) 528-3212. Urban Jungle Play – 1140 Maxwell Ln, Hoboken. (201) 653-4212. Wild At Play – 125 River Dr, Jersey City. (201) 333-4244. Visit our listing of New Jersey libraries for our list of Hudson County, New Jersey Libraries. Visit our listing of New Jersey Museums for our list of Hudson County, New Jersey Museums. Multi Service Center Roller Rink – Adams St, Hoboken. (201) 420-2012. The Attic Ensemble – 83 Wayne St, Jersey City. (201) 413-9200. Grace Theatre Workshop – 1800 Summit Ave, Union City. (201) 864-7149. Hoboken Children’s Theater – 55 Sterling Ave, Weehawken. (646) 339-8485. Hudson Riverfront Performing Arts Center – 1500 Harbor Blvd, Weehawken. (201) 430-6881. Jersey City Children’s Theater – 83 Wayne St, Jersey City. (201) 290-9202. Park Performing Arts Center – 560 32nd St, Union City. (201) 865-6980. Segunda Quimbamba Folkloric Center – 279 2nd St, Jersey City. (201) 420-6332. AMC Newport Centre 11 – 30-300 Mall Drive West Jersey City. (201) 626-3258. Bow Tie Cinemas Hoboken Cinema – 409-415 14th St, Hoboken. (201) 710-5581. Empire Cinemas – 3125 John F. Kennedy Blvd, North Bergen. (201) 865-6133. Hudson Cinemas – Hudson Mall, 701 NJ-440, Jersey City. (201) 860-9147. Kearsotes Showplace 14 – 650 Plaza Drive, Secaucus. (201) 453-4880. South Cove Stadium 12 – 191 Lefante Way, Bayonne. (201) 437-6600. Visit our listing of New Jersey Farms for our list of Hudson County, New Jersey Farms. Liberty State Park Interpretive Center – 100 Caven Point Rd, Jersey City. (201) 333-4105. Skyway Golf Course – 515 Duncan Ave, Jersey City. (201) 763-7520. Visit our listing of Hudson County, New Jersey Parks & Playgrounds. There are no known beaches in Hudson County. Hamilton Health and Fitness – 161 Erie St, Jersey City. (201) 714-7600. Lafayette Pool & Aquatic Center – 303 Van Horne St, Jersey City. (201) 547-5003. Pavonia Pool – 952 County Rd 641, Jersey City. (201) 547-4692. Pershing Field Pool – 201 Central Avenue, Jersey City. (201) 547-6886. recreation@jcnj.org. Sky Club – 125 Marshall St, Hoboken. There are no known lakes in Hudson County. Audubon Park, Audubon Ave. & Kennedy Blvd. Dr. Lena Edwards, Pine St. & Johnston Ave.
Pershing Field, Manhattan Ave & Central Ave.
Roberto Clemente- Enos Jones, 8th St. & Brunswick St.
Terrace Avenue Park, Terrace Ave. & Thorne St.
Thomas McGovern Park, Delmar/Sycamore Rd. Virginia Avenue Park, Virginia Ave. & Bergen Ave.
Did you find anything is the area of Harrison or Kearny? I live in those areas and can’t find anything at all. I am not really up for the traffic and parking issues in the locations you listed – not with a 5 year old, 1 year old and a huge SUV.